It is very hard not to go crazy for Ghana braids in Nigeria. For all we know, they are stylish, detailed, and versatile! The good thing about braided hairstyles for black women is that there is a vast number of options available. It varies from short to waist-skimming lengths and beads to colored coils. The list is endless. When it comes to variety, the problem we often face is figuring out what to try first. So what I do is that I usually try out the first style that makes me look twice! 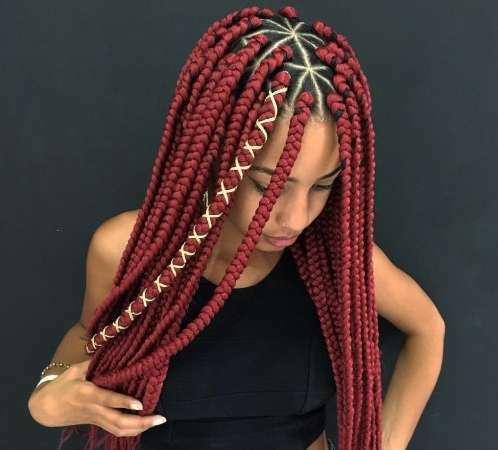 We have attached a video that has complied all the amazing braided hairstyles we want you to rock this year. You are free to play with color, vary the width of your braids and try different kinds of parts!